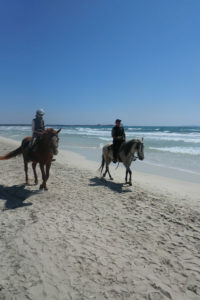 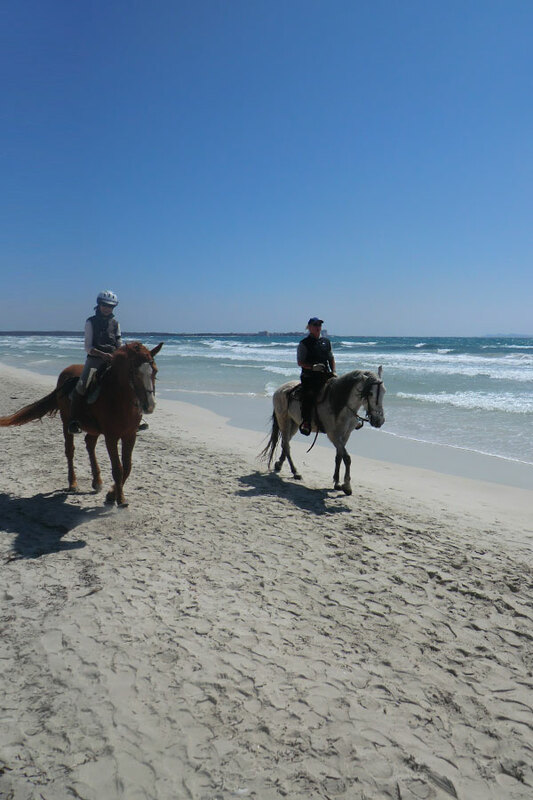 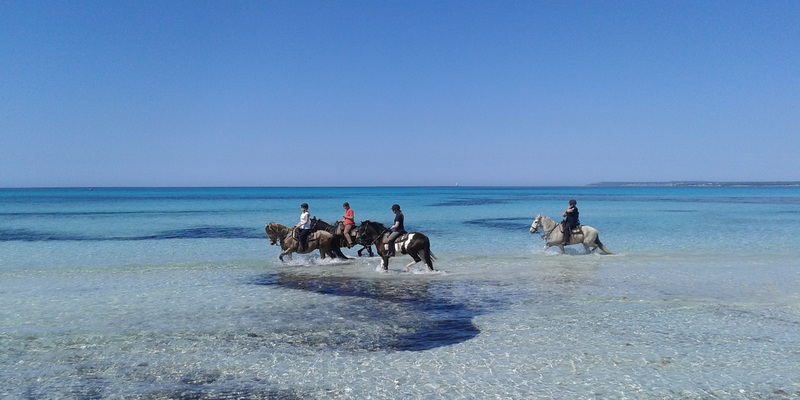 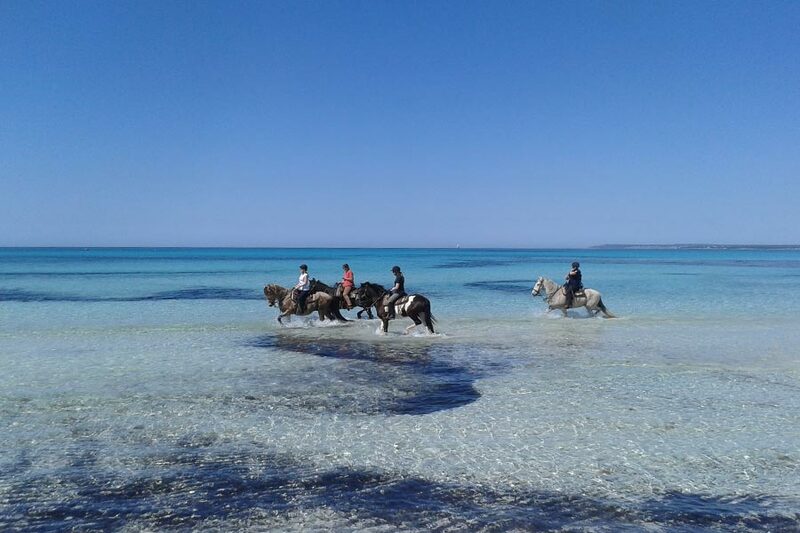 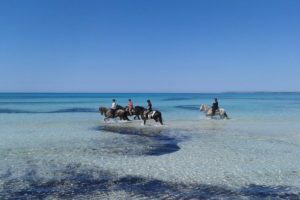 Whether you are a vacationer, rider or simply a horse and donkey friend. 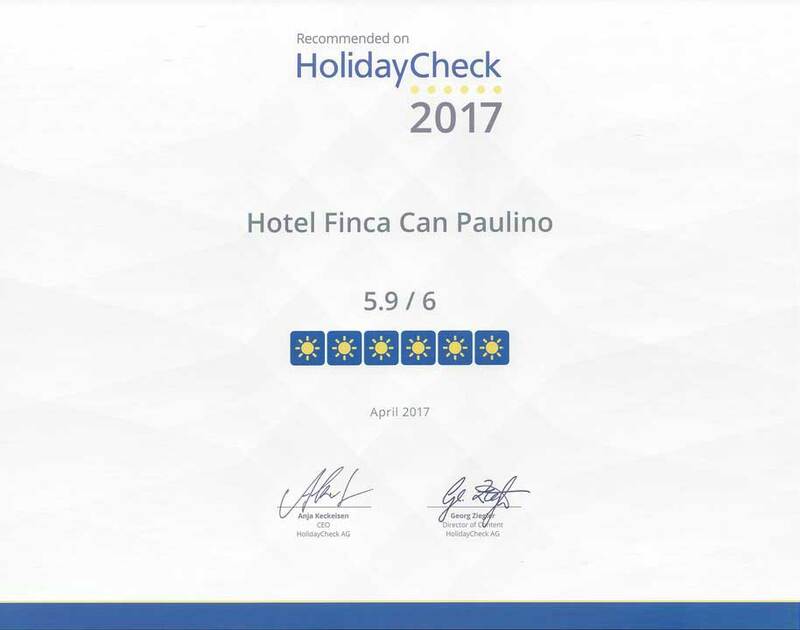 Take a holiday at Finca Can Paulino and leave your everyday life behind. 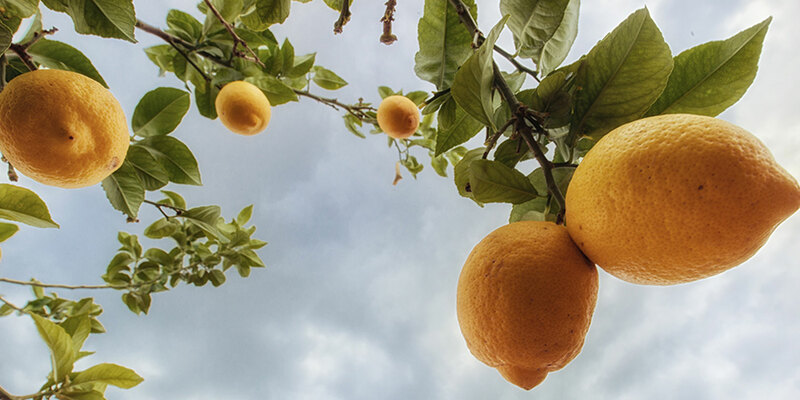 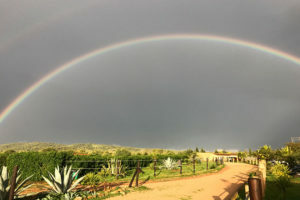 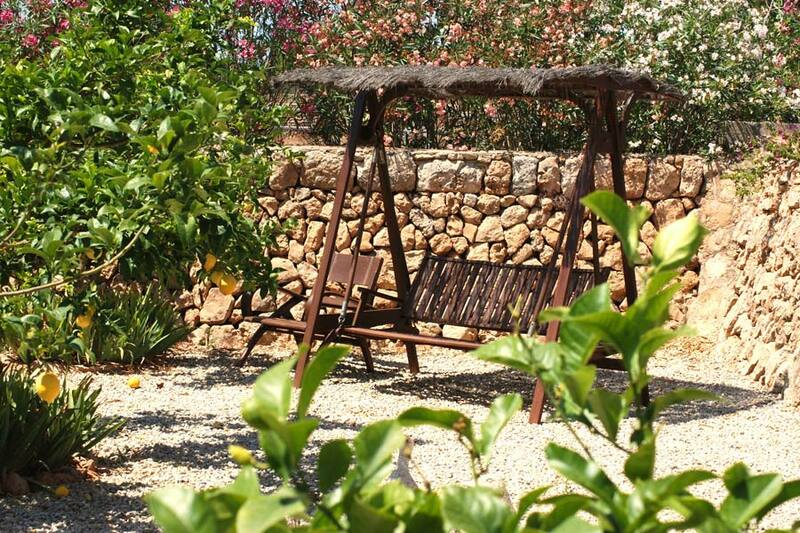 Beautiful nature, friendly animals, wellness offers and many leisure activities await you. 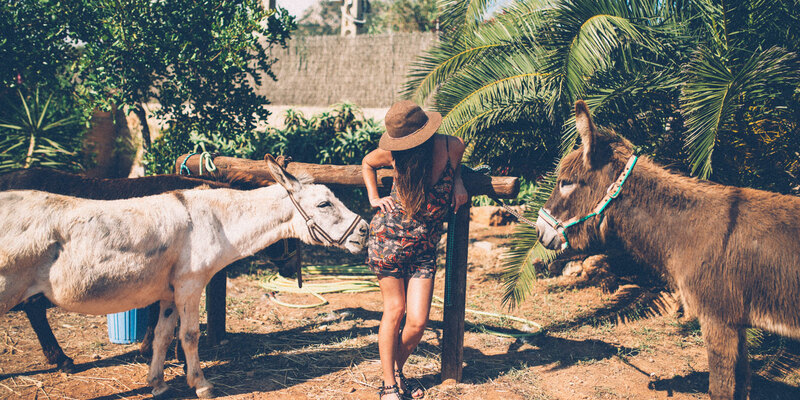 Relax and let horses and donkeys, riding in nature or simply the paradise-like ambience of Finca Can Paulino enchant you. 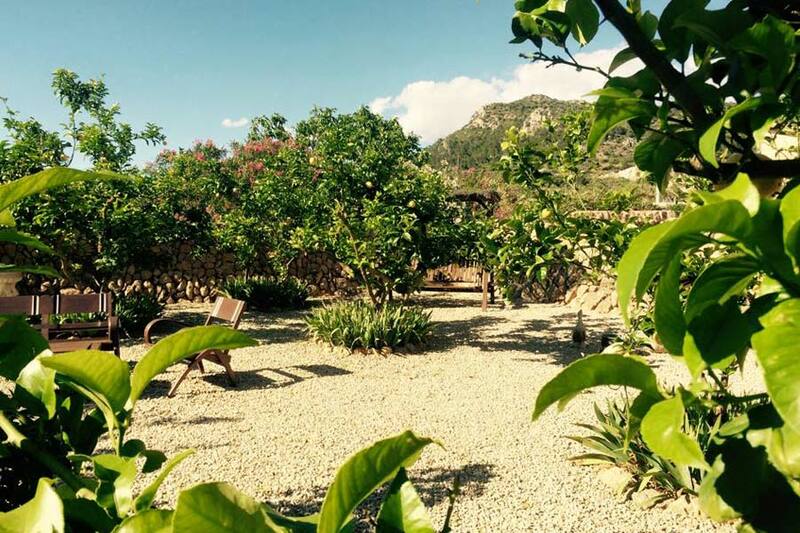 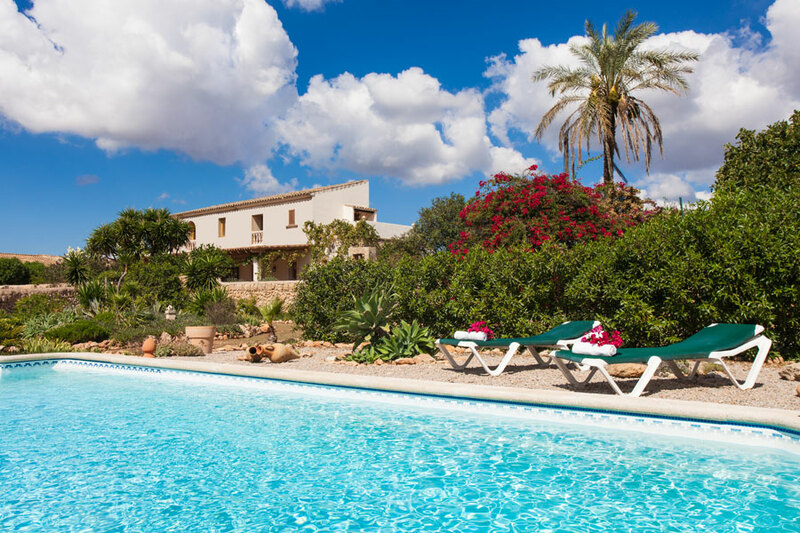 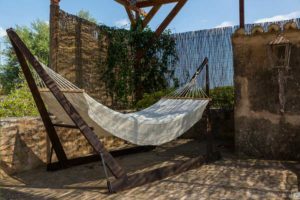 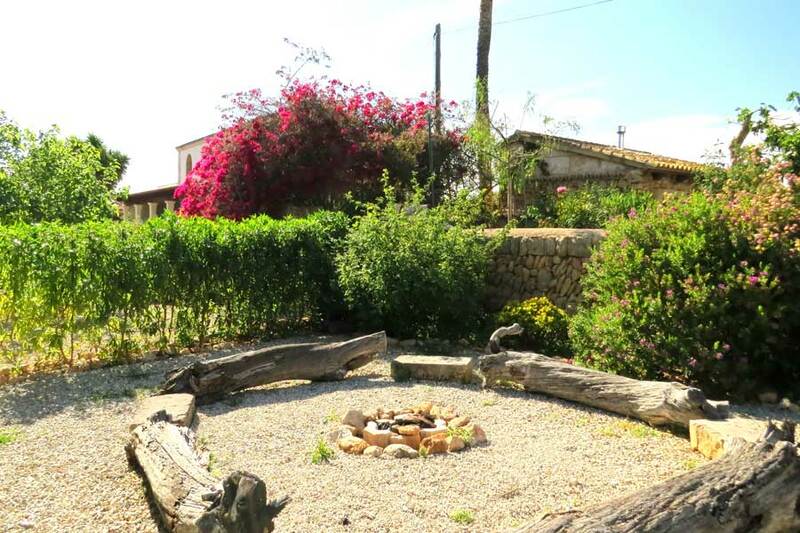 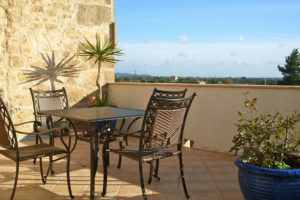 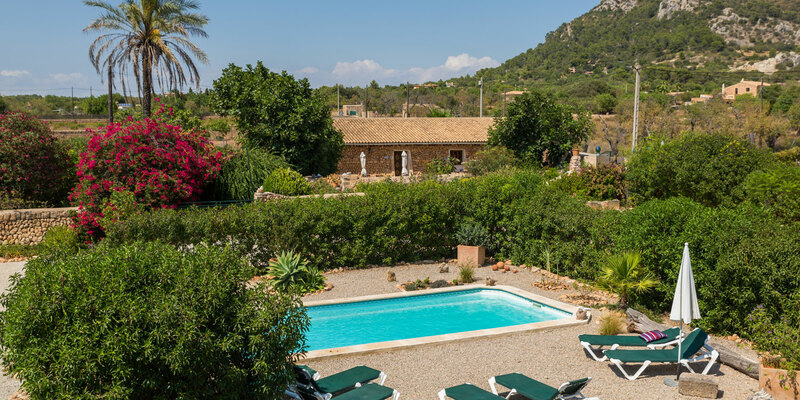 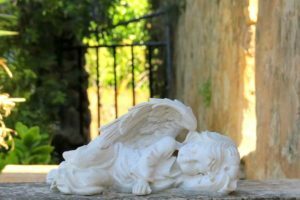 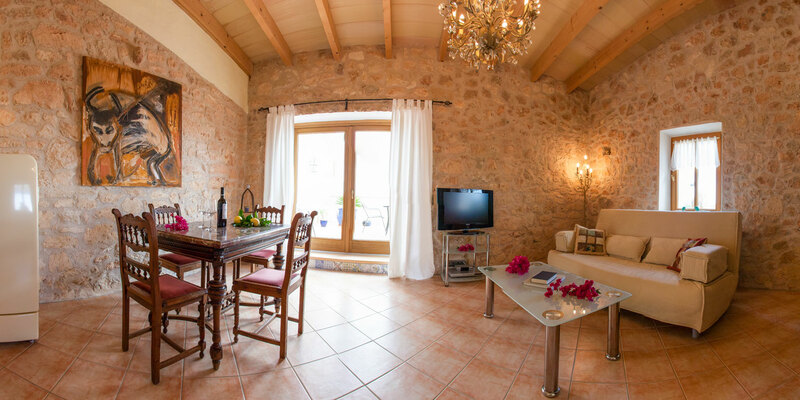 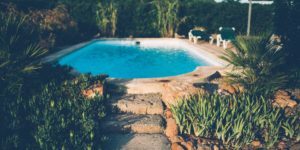 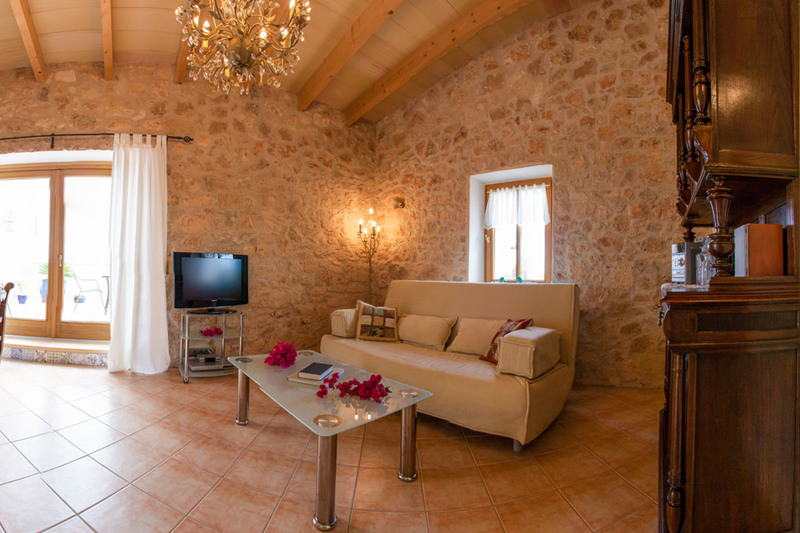 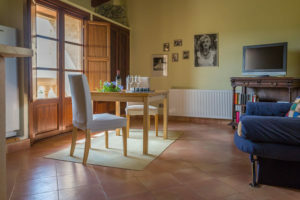 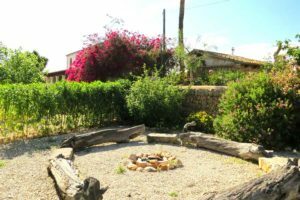 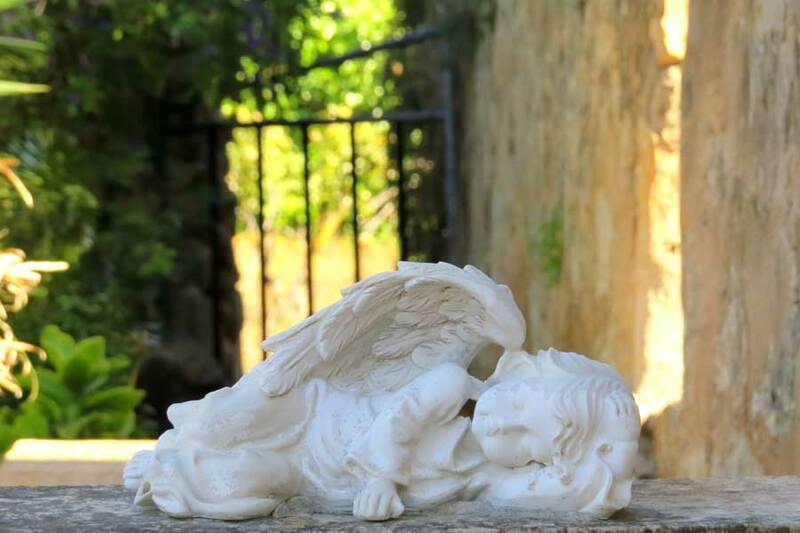 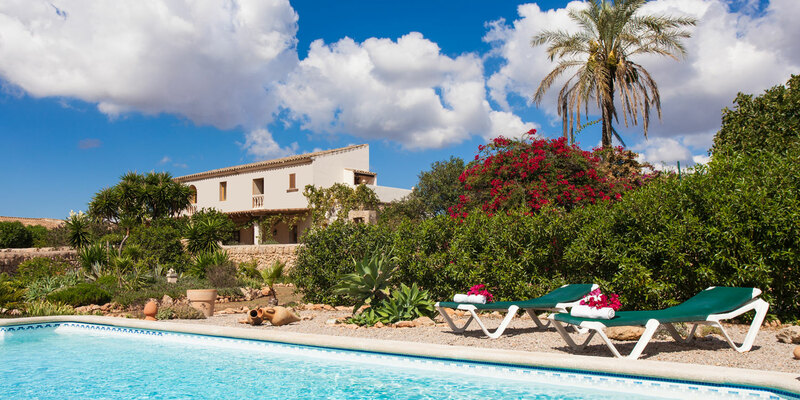 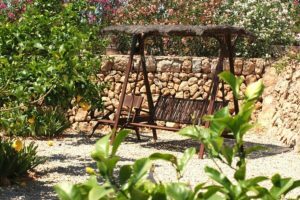 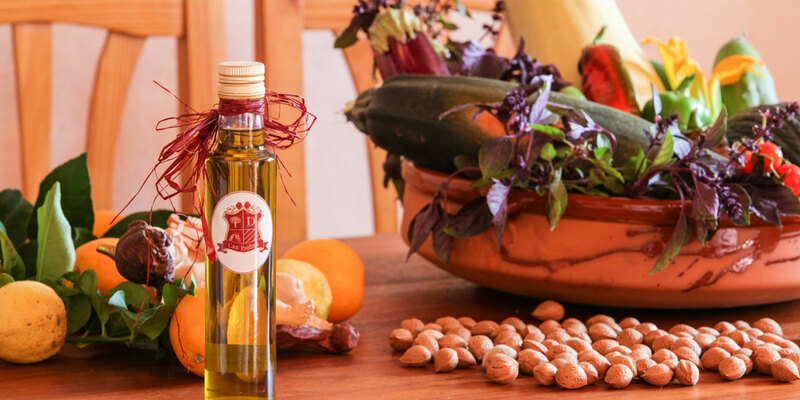 In the beautiful Mallorcan Finca Can Paulino, you will spend your holidays in a lovely & upscale furnished holiday home, holiday cottage or studios with private gardens or terraces. 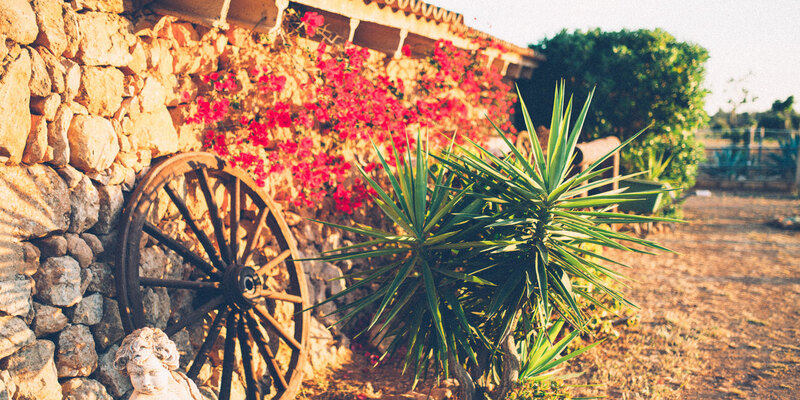 Far from the rush everyday rush and noise. 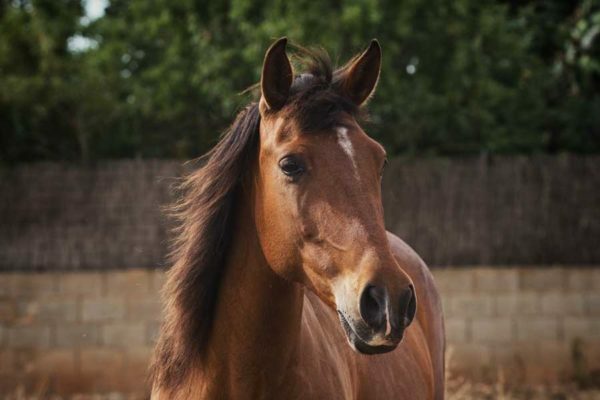 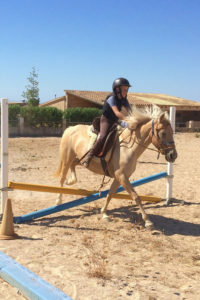 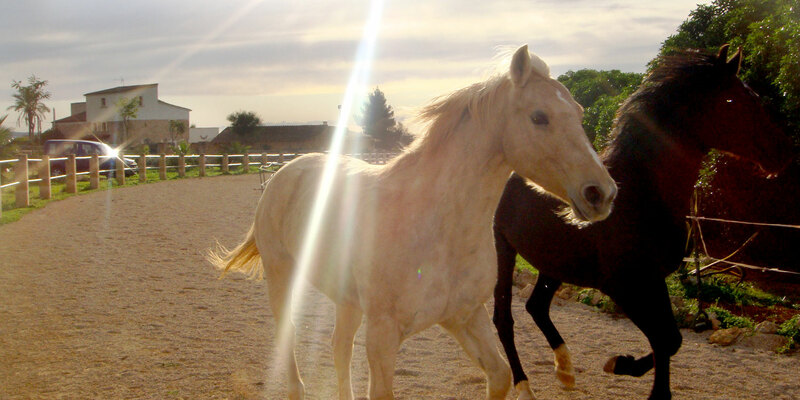 Let yourself be enchanted by Finca Can Paulino’s horses and donkeys; horseback riding in the open countryside or the paradise like atmosphere of the finca. 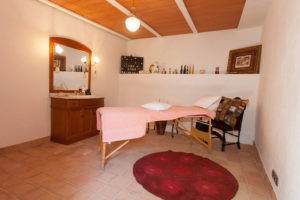 In addition to the peace and relaxation that the finca offers, our guests will also appreciate our extensive wellness offer such as massages, shiatsu, access bars treatments. 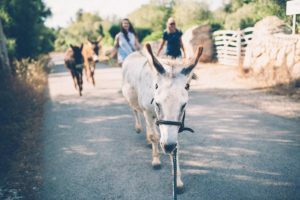 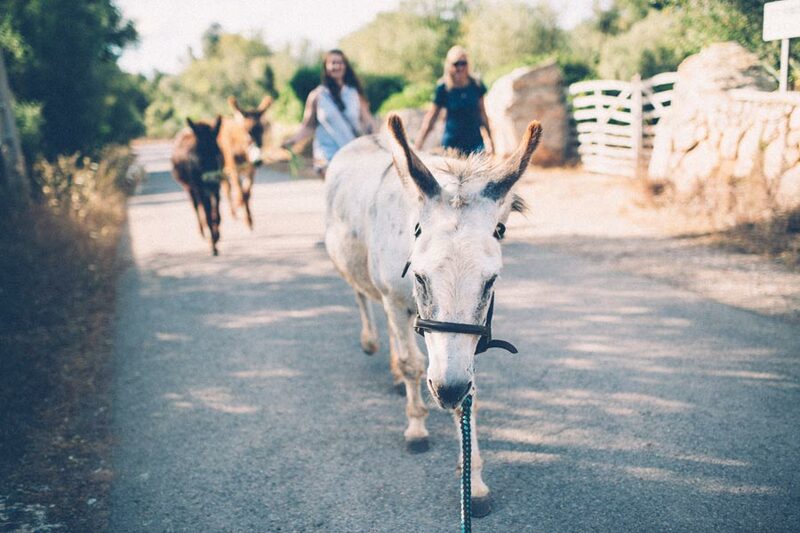 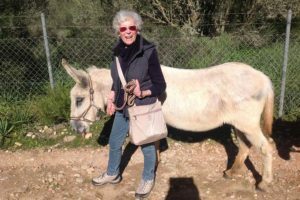 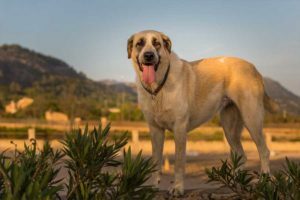 For a surcharge of 150 € you get a 2-hour donkey hike through the fantastic Majorcan countryside and have the opportunity to run every day with your long-eared friend as per the agreement. 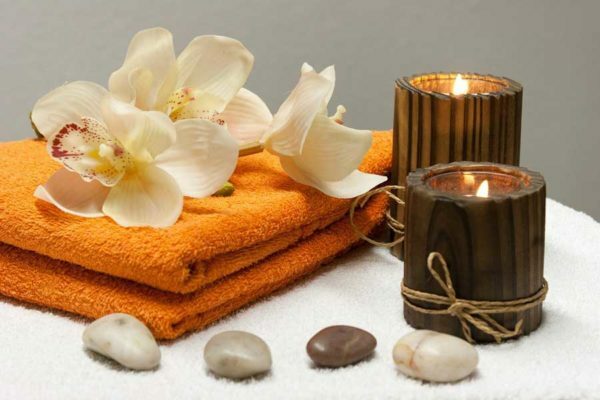 Daily cleaning, cuddling and treats are of course also included.